Denise Brown is no stranger to adversity. Incredibly, she battled four types of cancer by the time she turned 3 years old. Her latest triumph is overcoming life-threatening heart valve surgery, which, she says, is thanks to God-and this time-to Dr. John Conte, program director, cardiac surgery at Penn State Health Milton S. Hershey Medical Center. Because existing valve options wouldn’t fit Brown’s underdeveloped left ventricle, scarred from radiation, Conte sought special permission from the U.S. Food and Drug Administration (FDA) to reconfigure an old device. Next, he approached the Milton S. Hershey Medical Center’s Division of Applied Biomedical Engineering to produce it. Last February, Conte implanted the apical aortic conduit into Brown’s heart, allowing blood to flow once again—along with hope and gratitude. Her childhood cancers have haunted her life in many ways-from the taunts of other children and feelings of inferiority to physical ailments that curtailed her plans and dreams. 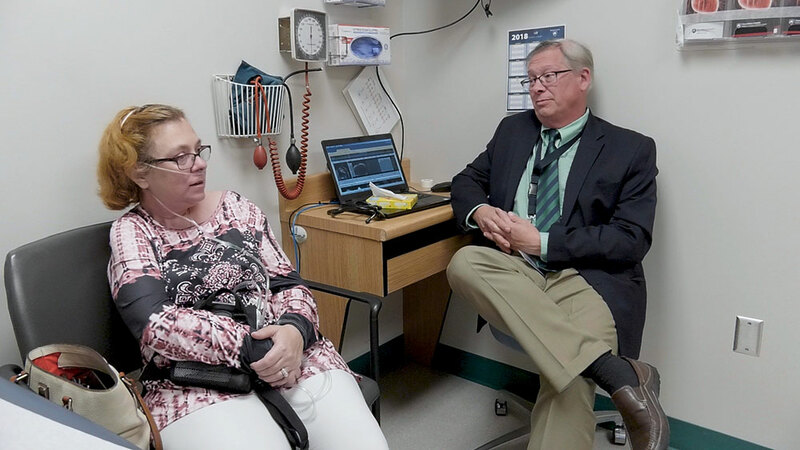 Those six years of treatments scarred her heart valves, compromised her lungs and led to advanced coronary disease, as well as disease of her aorta and blood vessels leading to her brain. In 2011, she was diagnosed with aortic stenosis, a narrowing of the aortic valve. That’s a problem because the aorta is the main artery that carries blood to the rest of the body. After several years of seeing doctors at various medical centers for valve replacement evaluations, Brown met Conte at Johns Hopkins in Baltimore in 2016. Remembering the surgeries he did before transcatheter valves took their place, Conte began looking worldwide for an apical connector he thought would work but wasn’t made anymore. Shortly after that, Conte left for Hershey Medical Center, and-desperate for help-Brown followed him. Read the complete article on Penn State Medicine.